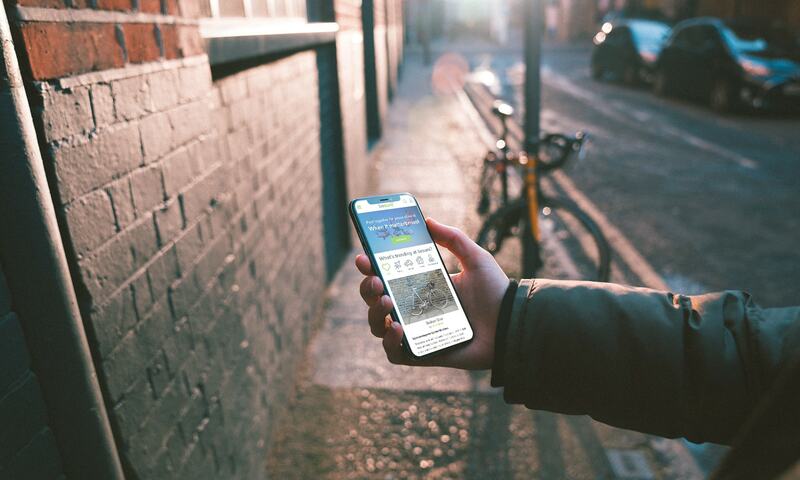 We designed a first-of-its-kind crowdsourcing and crowdfunding insurance platform that brings new insurance products into the world and unlocks untapped revenue opportunities. 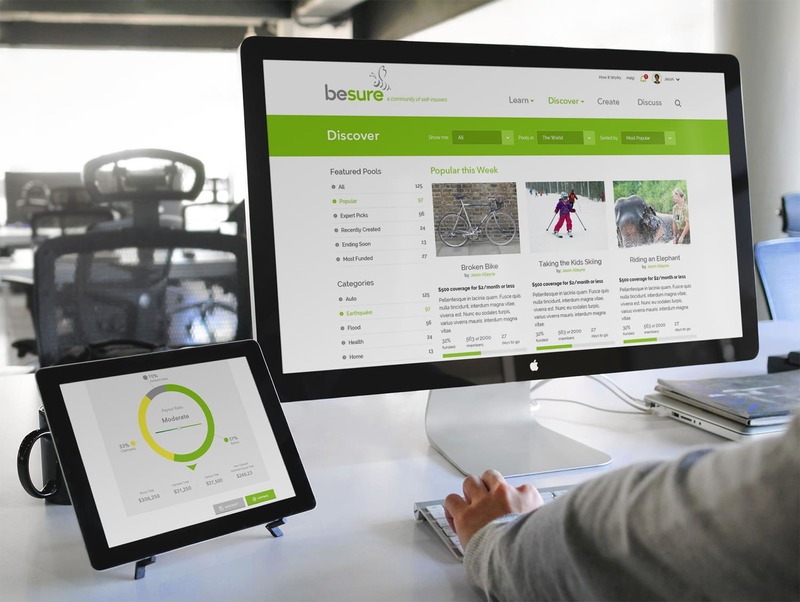 We worked with the Founders and Board Advisors of a new insurance startup to design a friendly yet innovative UX and UI system for Besure and implemented a new brand across the site. 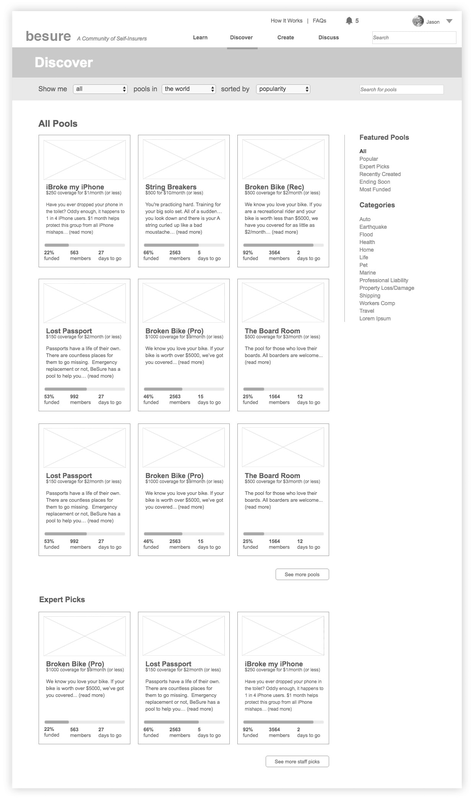 We delivered a complete experience through content, community functionality, and tools. 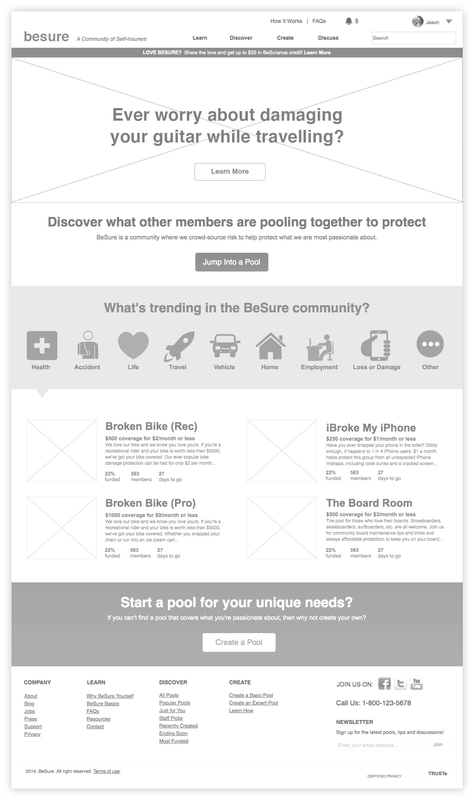 Through a design sprint methodology, we collaborated with a group of actuaries and young professionals to ideate and co-design a UX for millennial users to create their own insurance products through a crowdsourcing and crowdfunding community. We were initially tasked with developing a brand strategy for the startup. 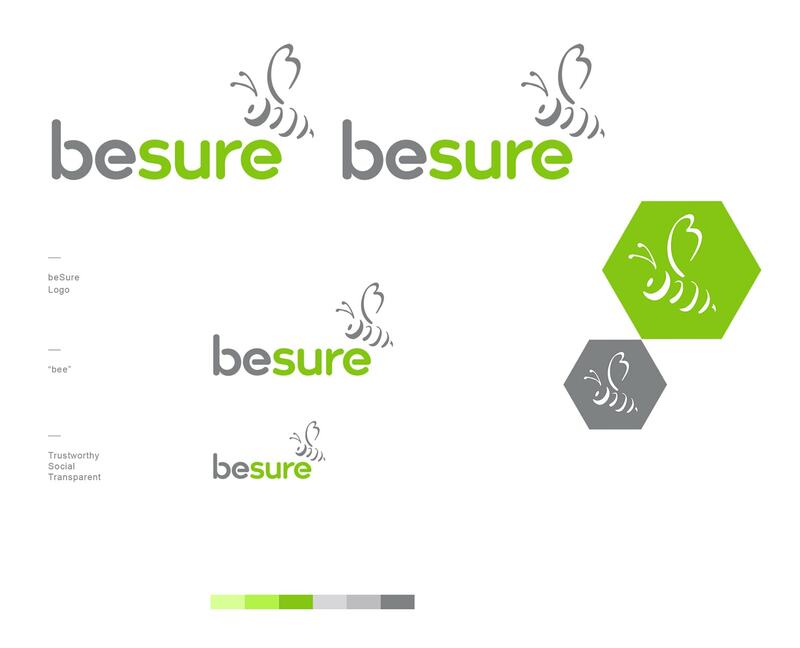 Based on this work, we created a complete naming, logo and identity system to capture a friendly "hive" concept for the insurance community. 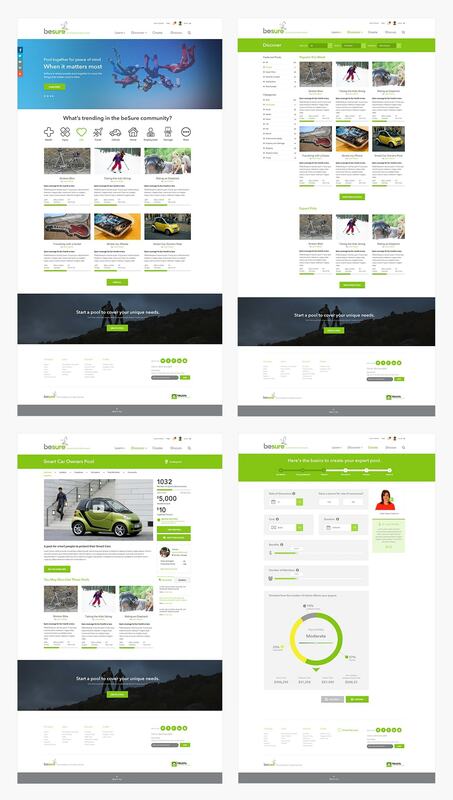 Branding and product design for a revolutionary crowdsourcing and crowdfunding insurance platform. Fully realized the brand and product design vision of the startup founders and investors.